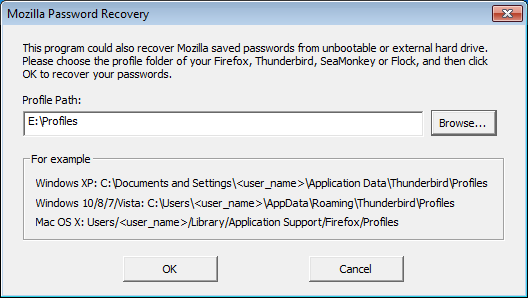 Is there any way to retrieve saved passwords from a non-working Firefox? 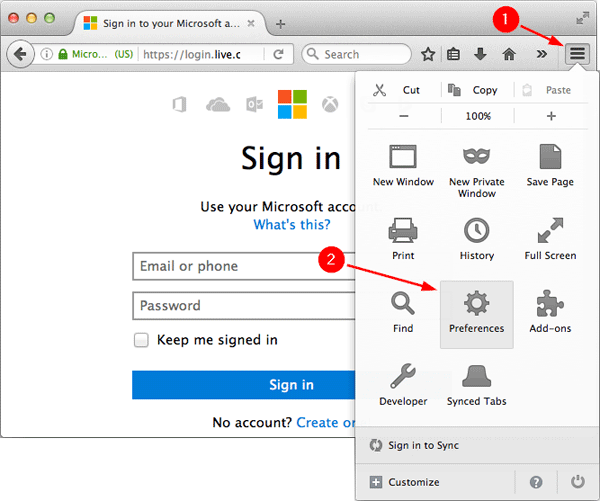 Where are Firefox passwords stored on Mac OS X? 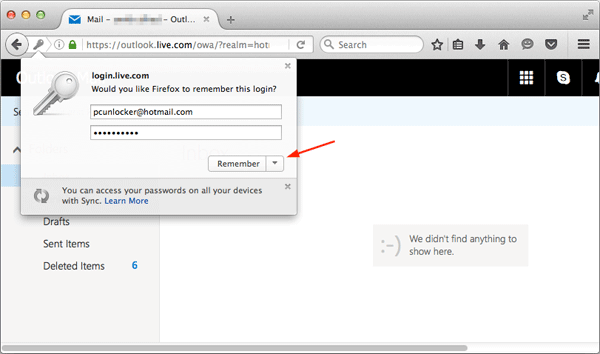 In this tutorial we’ll show you 2 ways to recover forgotten Firefox password on Mac OS X.
Click the hamburger button (three horozontal lines) in the top-right corner of your Firefox browser, then select Preferences. 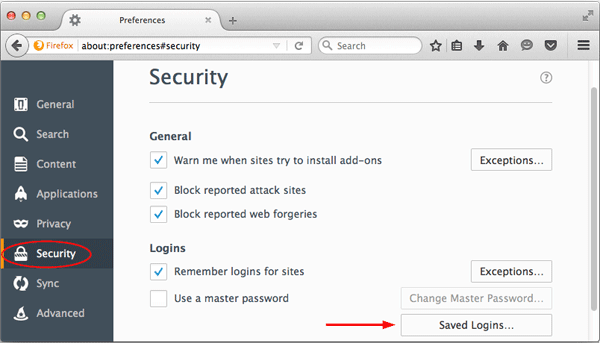 In the Preferences window, click on the Security tab and then click the Saved Logins button. Now you will see list of website and username which has been saved in Firefox browser. 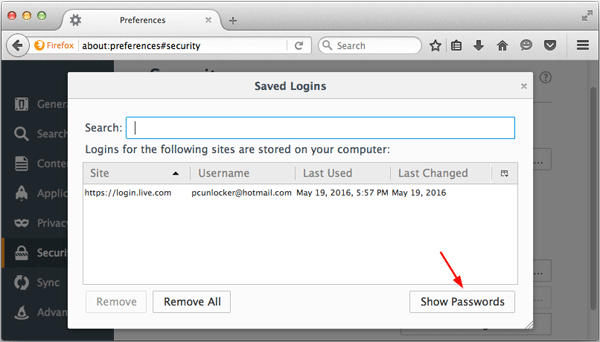 Passwords are hidden for security reasons, you can click the Show Passwords button to reveal the saved passwords. From the OS X desktop or a Finder window, simply press Command(⌘) + Shift + G to bring up the Go to Folder dialog. Type the following path and press Enter. It will open your specified folder in the Finder window. 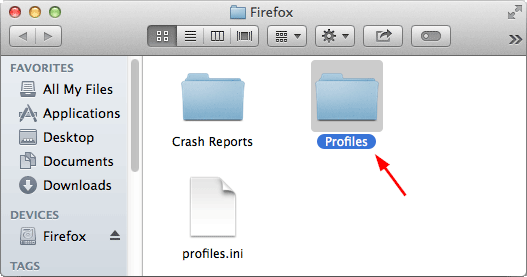 From there you can see the Profiles folder which is used by Firefox to stored passwords and bookmarks. 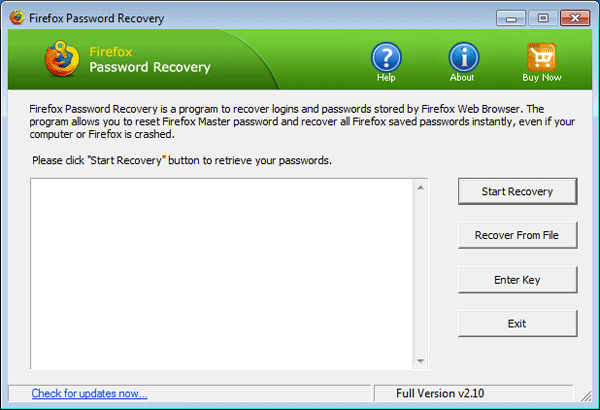 As the Firefox Password Recovery program can run in Windows only, you need to copy the whole profile folder to a USB flash drive, and then transfer it to a Windows-based computer. 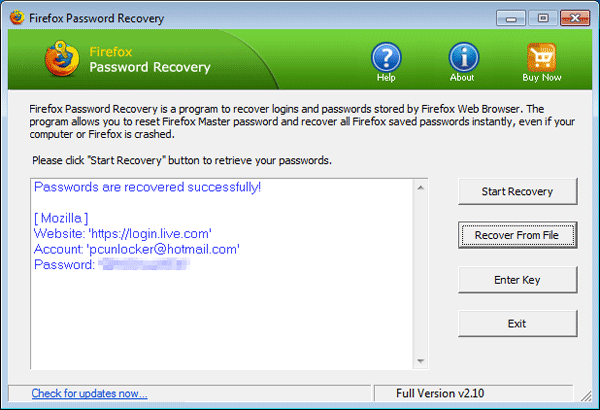 Now download and install the Firefox Password Recovery program on your Windows-based computer. After installing, launch the program and click on the Recover From File button. In the pop-up dialog box, click on Browse button to select the Firefox profile folder stored in your USB flash drive. Once it’s done, click OK. The program will quickly decrypt the Firefox profile and display the login URLs, usernames and passwords for all saved login credentials.